Offering a peaceful retreat in the heart of London, the Club’s more than 40 well-equipped bedrooms are available at attractive rates throughout the year. All rooms have comfortable beds with super king-sized pillows, plush goose down duvets, high thread count Egyptian cotton sheets, and many with Vispring mattresses. All rooms also have flat screen televisions, and tea and coffee making facilities. The en suite bathrooms are equipped with Molton Brown toiletries, and free Wi-Fi access is available throughout the Club house. Continental Breakfast and a complimentary newspaper are included. Internal Bedrooms are air conditioned and include a skylight or non-opening window. Prices are inclusive of taxes and service charges. Reciprocal club members must send a letter of introduction from their own club in advance of arrival, and may be asked to produce a valid membership card upon arrival. Diamond Jubilee SuitePrices are inclusive of taxes and service charge, and include Continental Breakfast and a complimentary newspaper. This is the Club’s flagship accommodation. 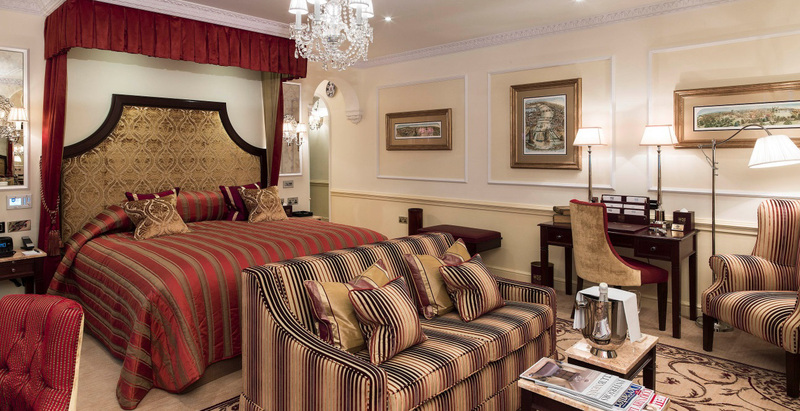 Created in 2013 and overlooking Pall Mall, the suite is designed and furnished to an exceptionally high standard. It has all the features of the New Double Rooms (see below) and additionally offers a dressing area, a space for working or sitting and a hidden flat screen television. The opulent bathroom has a bidet, roll-top bathtub and large walk-in shower. These rooms were comprehensively renovated in 2013. They all have a safe and a mini bar and feature an ecologically friendly ‘comfort cooling’ system and effective acoustic double glazing. Their modern decorative styles and luxurious equipment, super king-sized beds, separate bathtubs and walk in showers, set a new standard for accommodation within the Club house. 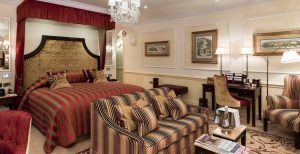 With a king-size bed and separate dressing area, the Chancellor Suite enjoys fine views over Marlborough House towards the Westminster skyline. Its generous seating area has a sofa that converts into a second bed for families visiting London with children. Members may order early morning tea or coffee to be served directly to their bedrooms between 7am and 9am at a cost of £3.00. Members may otherwise make their own beverages, using the facilities which are available in each of the bedrooms. An evening Turn Down Service is offered in our 3 Suites. Accounts must be settled ahead of departure by cash, credit or debit card or a UK bank cheque. We accept Amex, Mastercard, Visa and Visa Debit credit cards. Please note that cancellations need to be received via email, before 2pm the day prior to the night being cancelled. Any nights cancelled after this time will still need to be paid . Guests can ask for 1 Compliment Newspaper to be delivered to their bedroom in the morning. Any additional newspapers can be requested, but are chargeable.